Site specific, the installation consists of a series of rings suspended from the ceiling of the Guggenheim’s rotunda. Each ring is lit from below by a series of ever-changing LED lights, and from above by the sunlight filtering down from the rotunda’s oculus. The piece cycles between colors, and over the course of the day, varying amounts of sunlight mean that Aten Reign is composed of an almost infinite variety of colors and states. This entry was posted in bits + pieces., happenings. 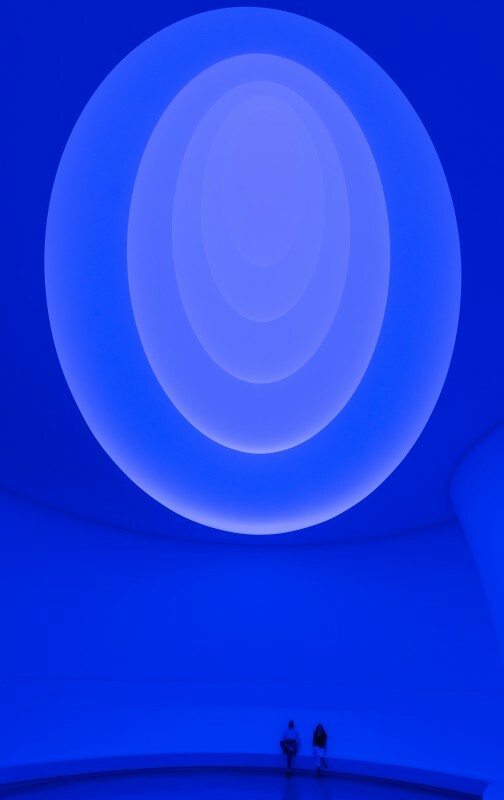 and tagged art, Guggenheim, installation, James Turrell on July 5, 2013 by owls house london.. I know, one would have to allow simply hours and hours…. sigh. happy weekend poppytump! Pingback: happy weekend. | owl's house london.